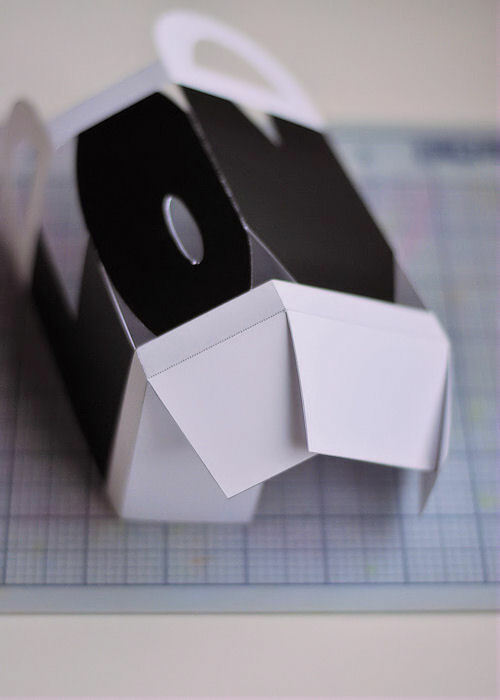 Let’s welcome February with a sweet little project — complete with free download! 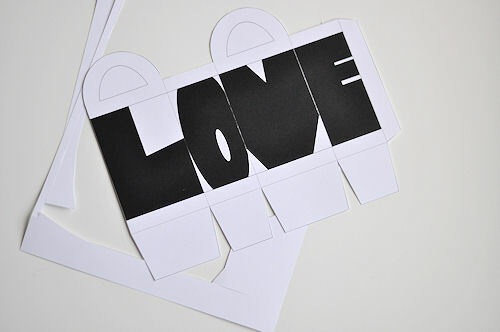 Handmade Valentines are the best. 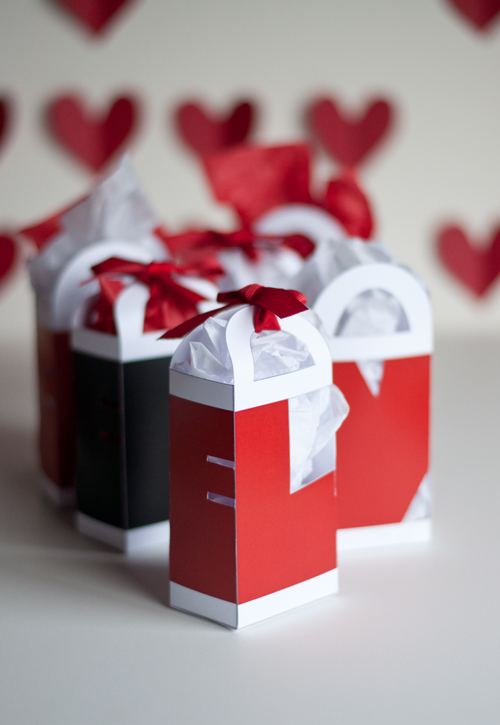 Handmade Valentines that include a bag of sweets, the best ever. 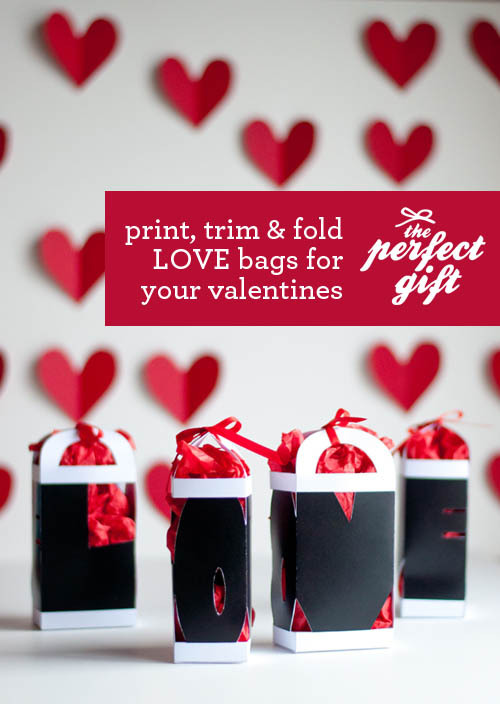 This little treat bag is just as simple to put together as the house gift box from last month and absolutely perfect for all your Valentines. 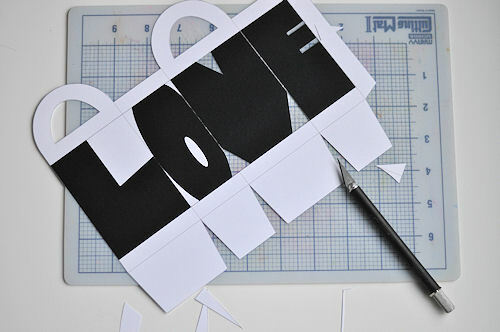 With the free printable, scissors and double-sided tape (and a few sweets), your Valentines will feel the love for sure. 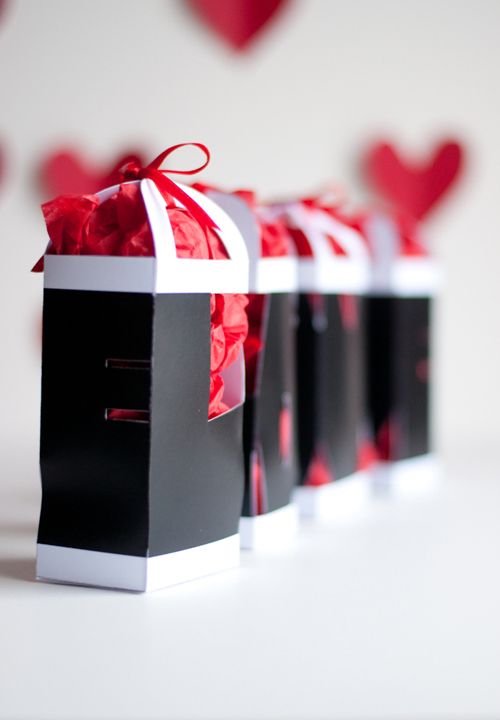 -LOVE bag printable in black or red. Cut out the perimeter of the bag. 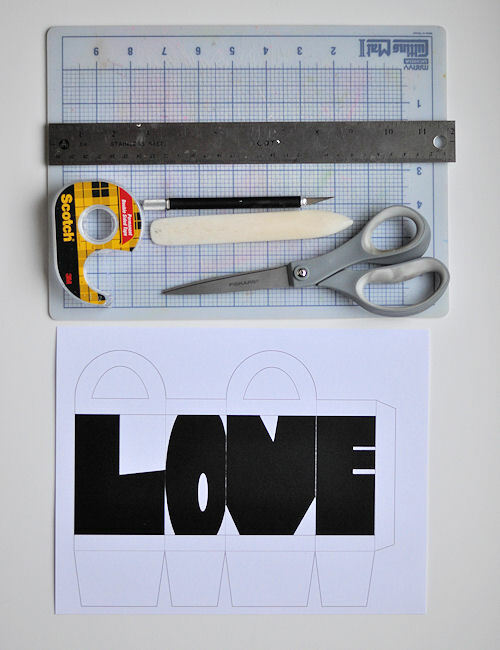 Use the cutting blade to cut out the handles and the white spaces in the letters. With the scoring tool and ruler, score the bag on all the dotted lines. Fold on the scored lines. 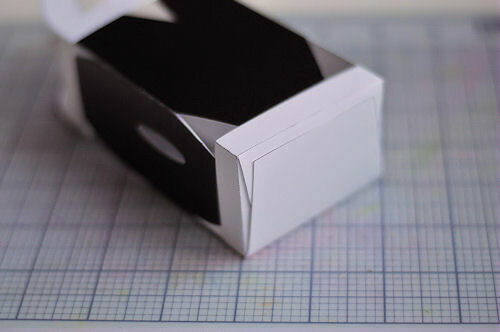 Use double-sided tape to connect the side flap with the other end of the bag. 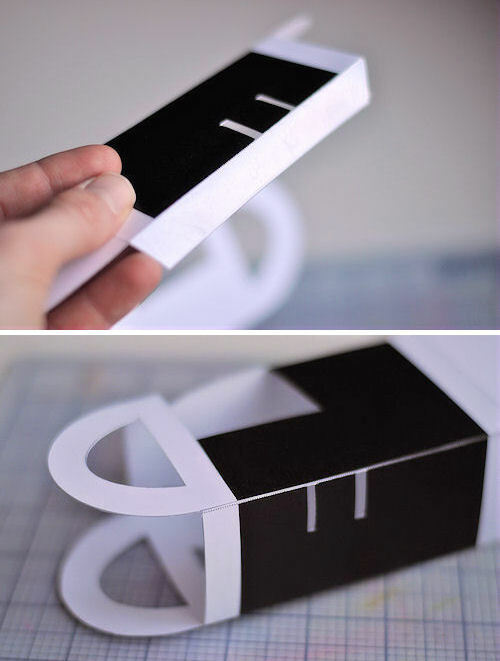 Fold the bottom in and secure with piece of tape. Stuff with treats and give to all! 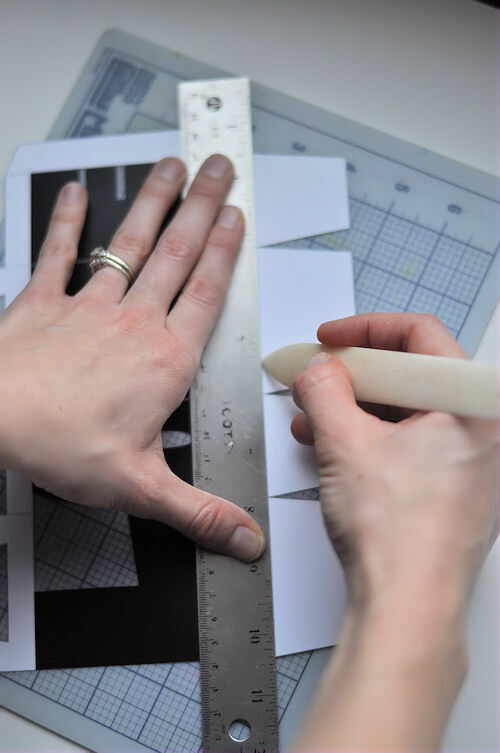 i love the idea, although it looks incredibly time consuming (to me) and I don’t have cutting blade, scoring tool! ah well! thanks for sharing! So sweet and this way everyone can have their favourite treat! 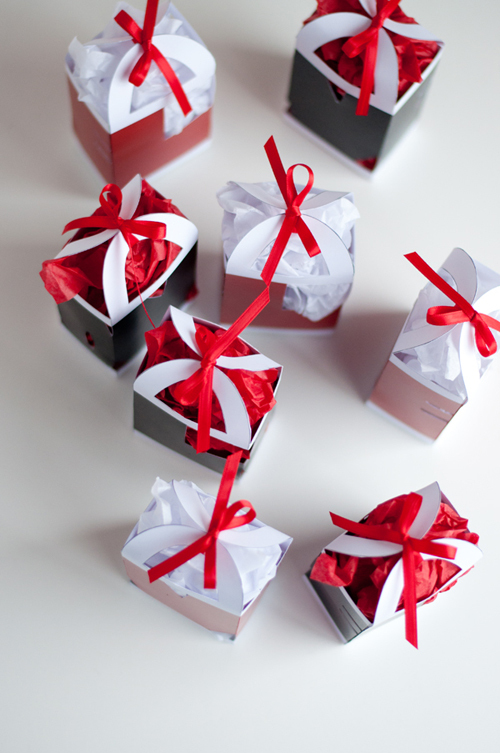 Such a super-cute idea! Thanks for sharing the template with us. soo cute. thanks so much for the template! What a Great Idea. Thanks for sharing. Love it. where can i download those?